At Clear View, we know that safety and quality assurance are extremely important to our clients. Our GPR technology helps you identify and eliminate risks at your project plans are properly implemented. Our expert operators work with you to provide complete scanning services per your specifications as needed and when needed. Call us today to arrange a no-obligation consultation and review of your scanning requirements. 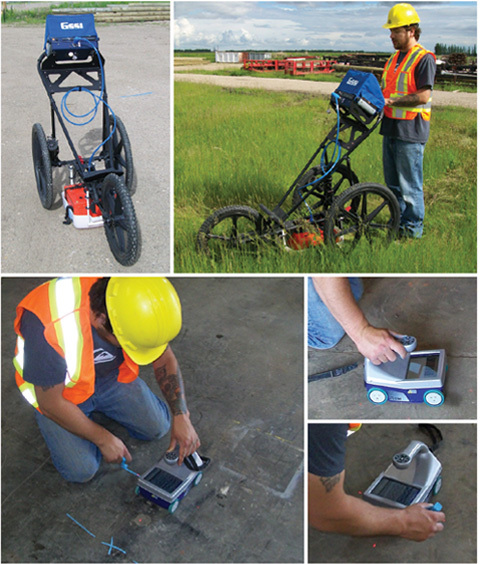 Locating and marking subsurface utilities is quick and precise with the UtilityScan™ GPR system. 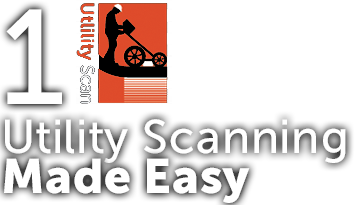 Entirely configurable to a broad range of applications, UtilityScan is designed for locating gas, water and sewer lines, and communications infrastructure, as well as other metallic and non-metallic targets. Scans can reach a depth of up to 12 feet (4m). StructureScan™ Mini’s compact, hand-held design makes it uniquely suited to concrete inspection in tight spaces, around obstacles and in above-the-head locations. Advanced software allows for easy data visualization, and guiding lasers allow for accurate marking of targets. Scans can reach a depth of up to 16 inches (40 cm). 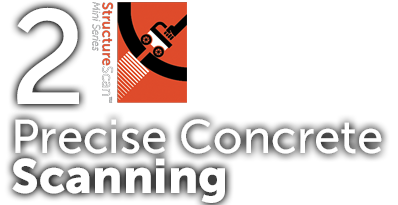 Material around and above buried services – including reinforced concrete, buried metallic objects, clay, and moisture – can affect data resolution. Depth calculations are typically accurate to within plus/minus 10%. Horizontal calculations are typically accurate to within 6 inches. (15 cm). Ground scanning cannot be deployed in areas of heavy undergrowth, as tree roots will affect scanning results. Survey area must be as level as possible, as steep grades will degrade the effectiveness of GPR. 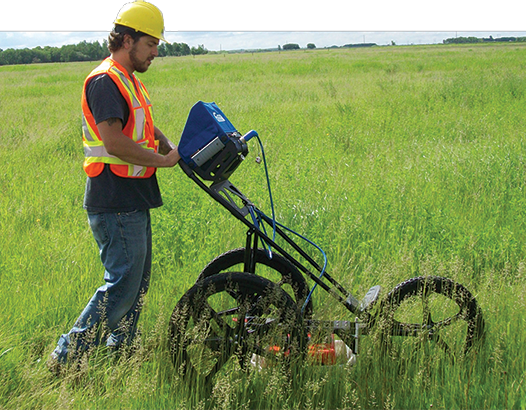 Clear View’s ground penetrating radar (GPR) services put you in control of locating and mapping underground or in-concrete targets, providing critical information on utilities and potential problem areas. GPR systems work by emitting short pulses of energy into the ground or concrete, and the returned echoes indicate the presence of utilities, pipes, cables and disturbed ground under the surface, or rebar or voids in concrete. 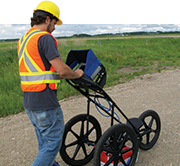 Unlike radio-detection techniques commonly used to trace utilities, GPR can also detect non-metallic buried targets such as polyethylene water gas pipes, and fibre-optics cables. 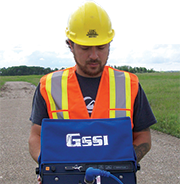 of Geophysical Surveys Systems, Inc.